The KH20 is a highly sensitive hygrometer designed for measurement of rapid fluctuations in atmospheric water vapour, not absolute concentrations. It is typically used together with a CSAT3 in eddy-covariance systems. The KH20 is typically used with a CSAT3 Sonic Anemometer in eddy-covariance systems. This highly sensitive hygrometer measures rapid fluctuations in atmospheric water vapour. It does not measure absolute concentrations. The KH20 is compatible with most of our dataloggers. Routine maintenance is required to keep source windows free of scale. The KH20 can be used with the window scaled if scaled calibration is used. The KH20 requires one single-ended analog input (signal is 0 to 5 Vdc), 12 V power, and ground. Where is the KH20 listed as a component in the Short Cut (SCWin) program? The sensors used in the eddy-covariance flux application, including the KH20, are not supported by SCWin. How does the KH20 work? For a description, refer to the “Basic Measurement Theory” section in Appendix A of the KH20 Krypton Hygrometer Instruction Manual. What is the best way to replace the sealant around the KH20 source/detector tubes? The seal around the source/detector tubes is not user serviceable. If the seal has failed, return the KH20 to the factory for repair. Follow the steps listed on our Repair and Calibration page to request a returned material authorization (RMA) number. Is there a composite program for eddy-covariance measurements that uses the KH20? An open-path eddy-covariance program is available for purchase as pn 18442, CRBasic Basic Eddy Covariance Program. This is the program without energy balance sensors. 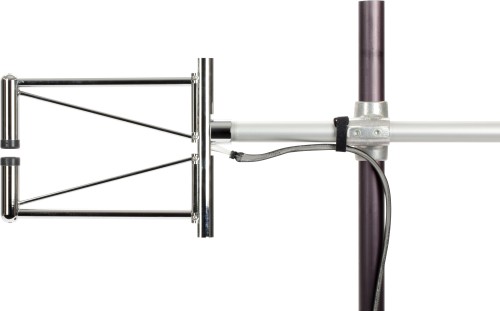 Also available is pn 18443, CRBasic Extended Eddy Covariance Program, with energy balance sensors. To order a custom configured program, contact the Micrometeorology Flux group for assistance.